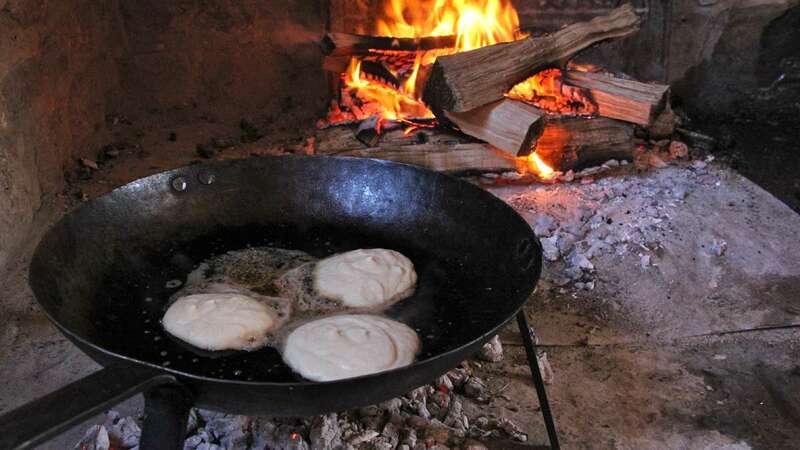 Nelly Custis Lewis (George Washington’s step-granddaughter), wrote about the cooking method for the three small mush cakes that was typical for George’s breakfast. Drop a spoonful at a time on a hoe or griddle. When done on one side turn the other-the griddle must be rubbed in the first instance with a piece of beef suet or the fat of cold corned beef…. Emma Lee of Newsworks has captured the sizzling of the mush cakes in my reproduction spider (a griddle with legs).